Happy Birthday to Ella Robinson! Ella's party is December 8th! 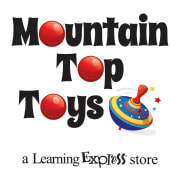 Learning Express Toys franchise, and a satellite store to Learning Express Toys Chattanooga. Both stores are locally and family-owned by Big Grinns, LLC.